Paul McCartney dined in this Wirral restaurant after his Cavern Club secret gig - this is what he ate . Beatles Radio: The Beatles, Solos, Covers, Birthdays, News The Fab 4 and More! Sir Paul McCartney's Cavern Club gig will be remembered for a number of reasons - the atmosphere, nostalgia and timeless classics. But, how did Sir Paul celebrate his second ever performance at the venue since his Beatles days? 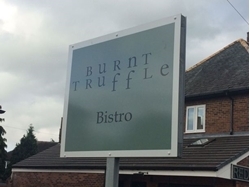 Well, he chose to visit Wirral restaurant Burnt Truffle, which is known predominately for its meat selection. The restaurant owned by Gary Usher , created a bespoke vegetarian menu on request for the former Beatles star and entourage.